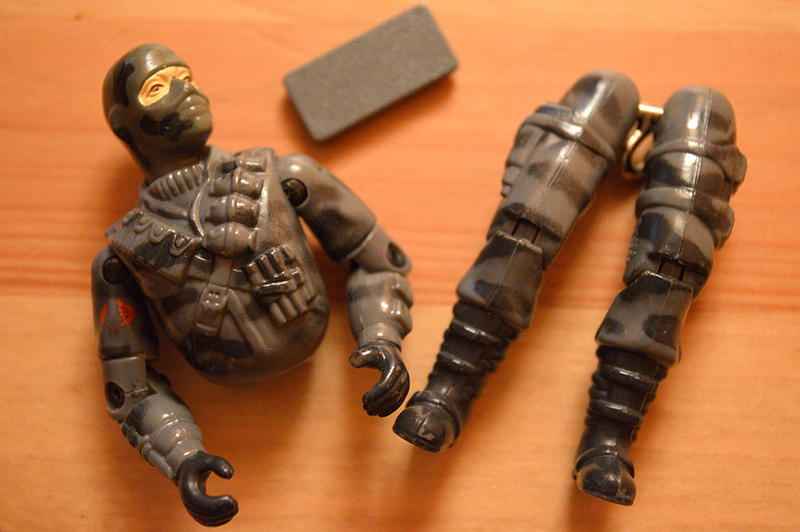 Firefly’s backpack is the only thing left of my original action figure. Firefly was one of my original favorites. Played with that figure a lot. And all I have left of my original figure of mine is the backpack. This was one of the guys who I always had with me when I played with my G.I. Joes outside. Somehow I have the feeling it was one of the first ones to vanish. I’m close to bringing him back to life, however. New pieces, the torso, legs and backpack cover. The first part I got was the cover to his backpack, which honestly I feel like is the most difficult part to come across. The small items usually are. I also managed to get a new torso and legs. 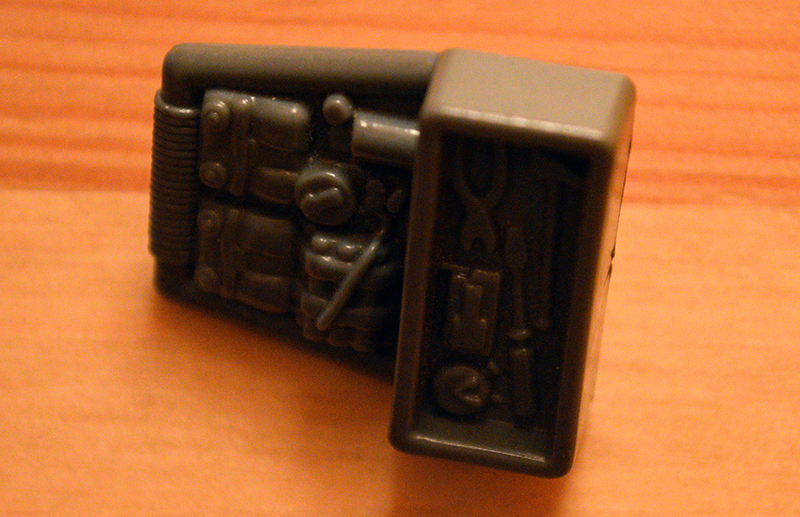 Unfortunately, the torso I did get isn’t in the best conditions, as it has some wear and tear and a busted thumb. Unfortunately the waist and his submachine gun are still elusive. And, of course, the walkie-talkie.